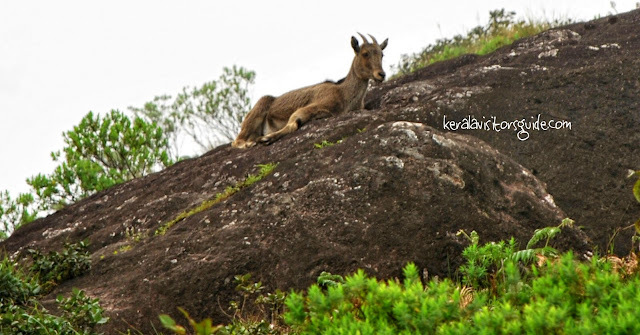 The Nilgiri tahr is found only in the Nilgiri Hills and the southern portion of the Western Ghats in Tamil Nadu and Kerala. It is the state animal of Tamil Nadu. The habitat of the tahr is exposed to pressures from human disturbances such as uncontrolled cattle grazing, fuel wood collection, as well as interference due to illegal tourism activities and occasional poaching. As a result, the tahr populations are stressed and do not have access to foraging grounds during the day. Further, the habitat is also shrinking as certain areas are getting diverted for human use. This was my third visit to Eravikulam national park in Sep 2014. Lot of things had changed since my last visit in 2003 (and before that in 1999) when we had to trek all the way up to the top. Now visitors will be transported up hill which had saved our valuable 2-3 hours and at the same time reduced the environmental impact in Rajamala tremendously by making sure there are no illegal trash disposals and threat to the animals. On the route you can enjoy the greenery of the tea plantations and streams of water cascading over the rocky mountains from some where behind the clouds. When you reach up you will be welcomed by groups of tahrs, which also was better compared to previous visits when we had to struggle to see even one or two. I always found tahrs lying on the steep rocks and they have special skills for climbing up and down the cliffs. 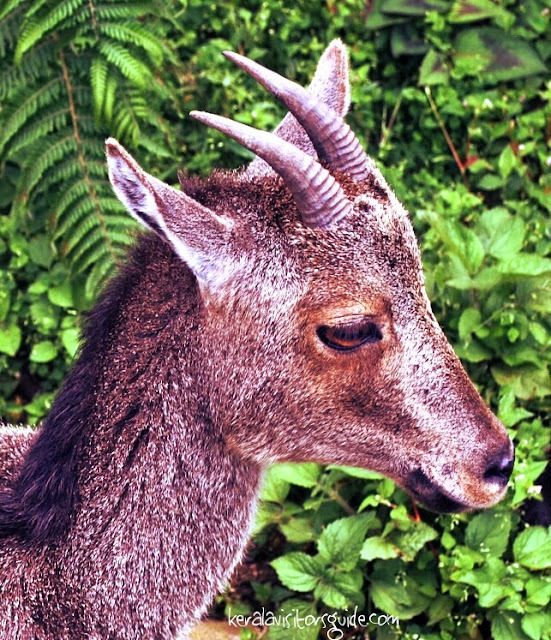 As per the Wildlife census conducted by Kerala forest department in association with volunteers from College of Forestry & Veterinary Science under Kerala Agricultural University, from April 24-28, 2014, number of animals in Eravikulam National Park has increased to 894 individuals. 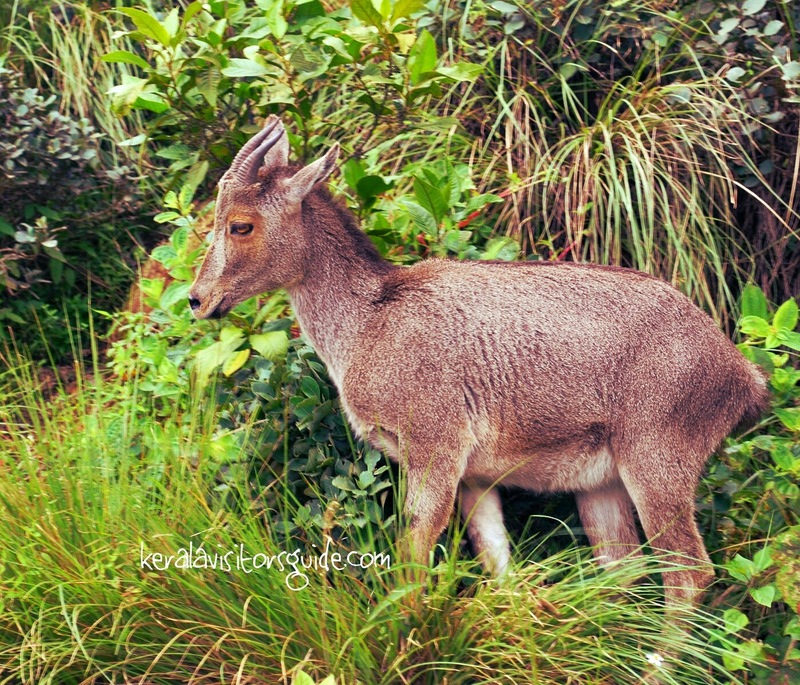 This is the highest ever count recorded in the national park, with the first census in 1996 finding only 640 Tahrs The Nilgiri Tahrs are stocky goats with short, coarse fur and a bristly mane. Males are larger than the females, and have a darker color when mature. Both sexes have curved horns, which are larger in the males, reaching up to 40 centimetres (16 in) for males and 30 centimetres (12 in) for females. Adult males weigh 80 to 100 kilograms (180 to 220 lb) and stand about 100 centimetres (39 in) tall at the shoulder. The first of its kind in India, the Kanan Devan Tea museum attracting hundreds of visitors every day is located at the beautiful Nullatani estate just 3 kms (5 mins drive) from Munnar town. We kept this as the last item in our itinerary because of 2 reasons, one; it is a museum and two; we thought we know everything about tea already. 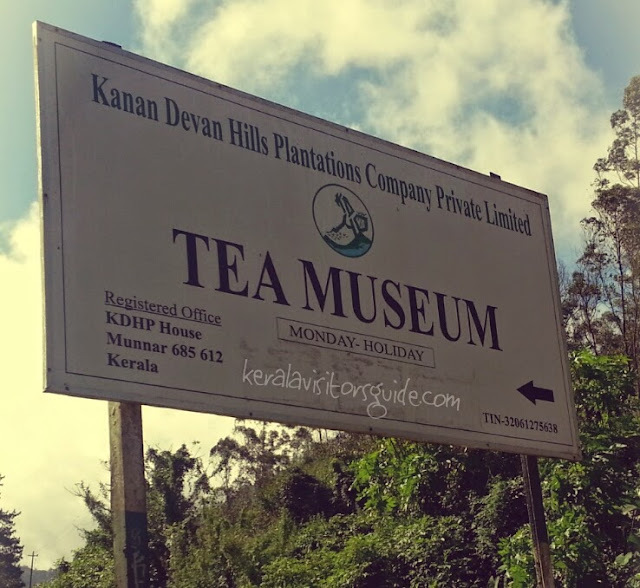 The tea museum tour begins with a 30 min documentary about its history and the tea plantation culture of Munnar. It was an interesting presentation covering the history of Munnar as such from early 18th century. The later acquisitions of the company were really interesting from Finlay to Tatas and then the birth of KDHP. You can read more details here. Today KDHP own 85% of the total tea plantations in Munnar. After the documentary was a session by one of the experts about the tea making process and the health benefits of tea. The way he explained how to make a perfect tea and how to drink it too, made us all silent for couple of seconds. All of a sudden we got a new sense out of the 3 letter word TEA, and whatever we knew all these years about tea just changed over an hour. Amazing bunch of information, we are going to take it going forward. That moment we felt sorry to disregard this in the beginning. Now we strongly recommend a visit to the museum which takes a couple of hours at the most. There is an outlet were you can also purchase fresh produces of KDHP. If you are planning to visit make sure you reach there before 4 PM that is when the last batch of factory visit begins. It also offers nice view of the tea plantation hills. 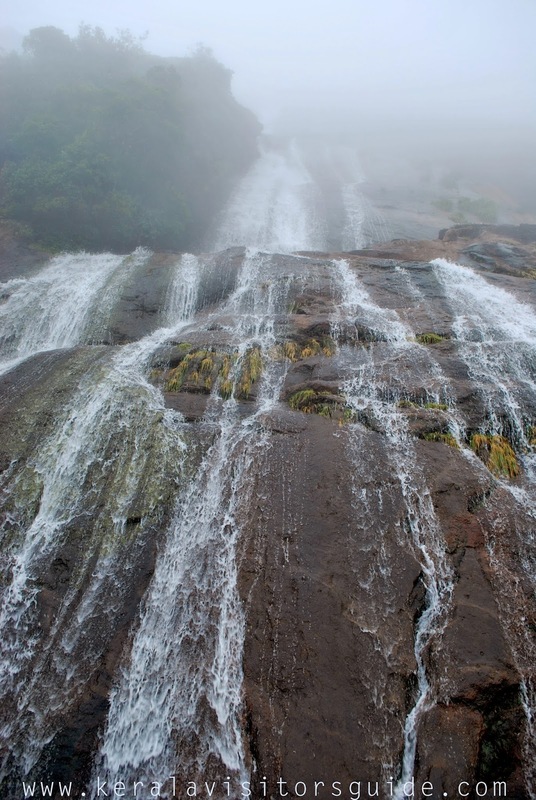 The cheeyappara waterfalls on the Kochi - Munnar highway between Neriamangalam and Adimali is a visual treat to all the tourists heading Munnar. Flowing down a rocky slope in 7 step cascades this waterfalls will look best during and after monsoon months (Jun - Sep). 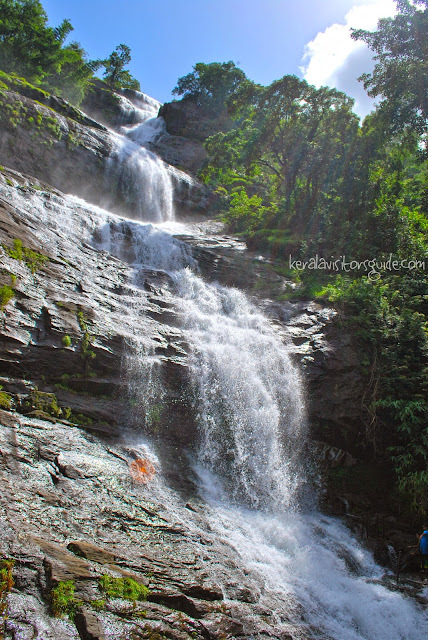 You can walk under the falls and get wet only if the conditions permit, but its still a long way to Munnar and there are no changing rooms around. From cheeyapara you start to feel the hills and forest towards Munnar and the temperature start to fall as you go up. The place is also famous for landslides during monsoons, one such incident took life of 3 in 2013. It is advised to verify the weather reports and alerts before you start. 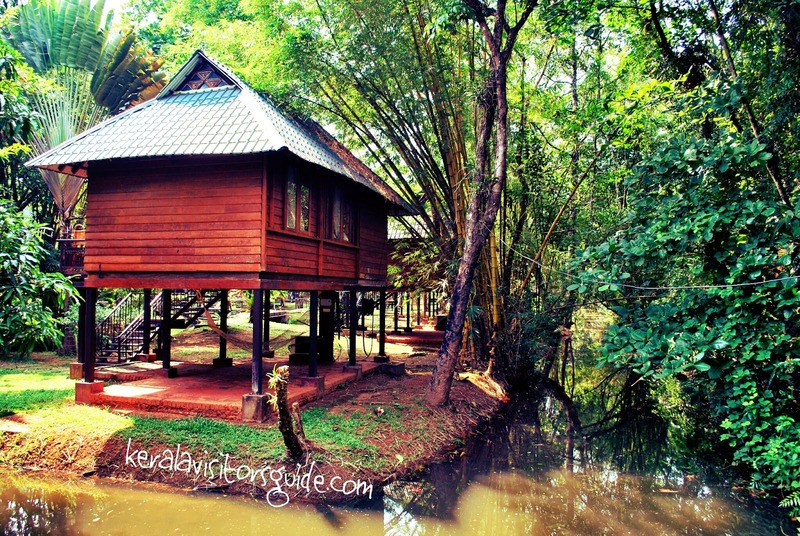 A large number of Tourists visit Kerala every year from various parts of India and abroad. The flow of Tourists is going up every year. Providing a sense of security to Tourists is one of the prime responsibilities of the Government, which will go a long way in improving the Tourism Sector and inflow of Tourists. One of the main problems that a Tourist in Kerala faces is “Whom to contact in the case of distress, and how to contact?”. Considering the above aspects, our proposal for the implementation of a new system namely Tourist Alert Service, aimed at promptly attending the calls of Tourists at different Tourist locations, has already been approved by the Government. The “Tourist Alert Service” will be an additional service fully dedicated to the Tourists and will also use the help of Highway Police Patrols/ Flying Squads operating round-the-clock. In this system, a telephone number 9846 300 100 will be publicised, and any Tourist can contact this number (to be manned by Police) and seek guidance/assistance, which will be promptly provided.